In the pursuit of revenues online, millions of webmasters and merchants have developed online platforms through which products and services can be sold. In some cases, home-made products and other creations from small businesses are offered, while many others may choose to resell other companies’ offerings. Whatever the case, Google and other big search engines have been less than kind to the industry as a whole over the past several years. There have been hundreds of algorithm changes each year that, without adjustments, leave most retail websites at a disadvantage in search results. If you want to ensure that you are targeting your ideal audiences and are not impacted by recent changes, then continue reading to find out about these perfectly legitimate workarounds to your current problems. In the past, pinging search engines with your keyword searches was a given. This meant that search engines would track and disseminate to websites just what keywords brought you to their doorsteps. As of late 2013, it has been shown via simple analytics software that more than eighty percent of searches have been hidden to the point that Google no longer displays from where the traffic originated. There are some ways in which you can gain access to this information, however. 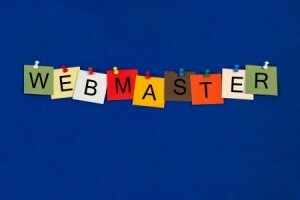 Some common utilities that can be of service include Google Webmaster Tools and the functionality offered via AdWords. The addition of anchor text can also assist in this process. More and more businesses have found it difficult to compete within certain niches due to an increase in competition. This is not so much to do with Google’s algorithm changes as it is to do with the explosive growth of the internet. If you currently operate an e-commerce or merchant website and need to reach new audiences, then local search may be an ideal target. Many users now utilize Google Plus and its local business pages to boost local exposure, as well as refining keyword selections to target local search results. Google’s latest algorithm changes came in the form of Google Hummingbird, which has led to some changes in how your site is pinging search engines. As the search engine continues to move toward a model that understands what users wish to find rather than simply fetch keyword-related topics, users will benefit from building an SEO strategy that increasingly relies upon quality content. All social media platforms should also be reviewed for consistency and details – these platforms will continue to augment (or hurt, depending) your search engine performance. Each and every year, Google continues to shift in terms of performance and relevance. This can play a huge role in how your site is received or seen by users – not all changes directly tie into algorithms, but there are usually ways in which your business can adapt. In the wake of the most recent changes to the platform, merchants will benefit from exploring keyword traffic via paid sources, further target local search niches and adapt to the changes that Hummingbird has presented.